A mountain bike is only as awesome as its tires. No matter how flashy a bike looks at first glance, if the tires do not perform, you would rather enjoy an old, plain-looking bike with reliable tires that can cross territories. As a mountain bike enthusiast, you have needs that ordinary tires just can’t accomplish. A mountain bike has to be able to traverse various kinds of terrain and grounds on any weather. It is a mountain bike, after all. 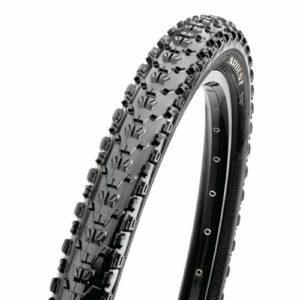 Furthermore, the ideal mountain bike tire has good traction, resistance, and longevity. It has to be easy to install and maneuver. 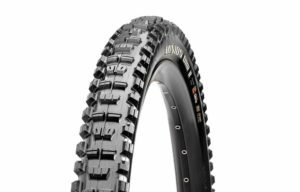 Now that you know what to look for in a good mountain bike tire, you are almost ready to order a set or two. That is, until you get overwhelmed by the hundreds of choices available. 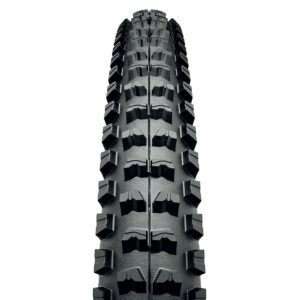 To help you a bit in deciding which tires to get, we put together brief reviews of the best mountain bike tires. We must admit we are partial to anything made in Germany. They can’t be beat in product engineering and quality. In this case, that expertise of theirs takes the form of the Kaiser, a 4 ply that holds up well against wear and tear and harsh dry conditions. In our opinion, it does very well on jagged rocks, loose surfaces, and dusty tracks. It is also very stable. When it comes to wet ground, it does just fine, but it is admittedly not the best - if you’re going to be riding wet ground often you may want to research a more specialized tire for that purpose. 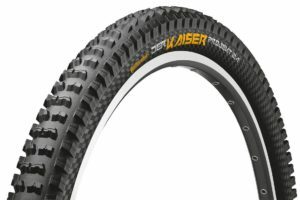 Lastly, the Kaiser is tubeless, so it is unavoidable to have the same problems other bike owners have with tubeless tires. It may require a lot of air before sealing - just something to be aware of. Maxxis is one of the best known names when it comes to tires. 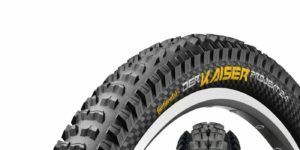 They specialize in enduro tires, and that shows in the Ardent. This tire does well in all weathers and nearly any terrain, especially hardpacked ones. However, it does not do as good a job when there is an awful lot of mud. For this price, you can find a tire with better mud shedding - so keep your intended use and terrain in mind. All in all, the Ardent is ideal for riding in downhill or enduro and all-mountain riding. Sure, it is not flawless on muddy terrain, but that is really its only flaw. If you do not bike too much in areas in such conditions, then you might as well gift yourself an Ardent. The downside is that the cornering grip may be too much for the Excavator to be used as a rear tire. You may have to exert extra effort to break loose when maneuvering through tight corners. It is also a bit saddening that it does not come in a 2.5 Kevlar bead, but alas we can’t have it all, can we? It takes a lot for a mountain bike tire to do great on mud and ice, and we think the Minion has enough traction to handle such conditions. It has a similar knob design as its cousin the DHF except it adds knobs along the center of the tire. Cornering and traction are great on nearly any terrain. The obvious downside to this, though, is that the tire tends to roll slow because of all those knobs. This is why the Minion is great downhill but can be a pain on steep climbs. 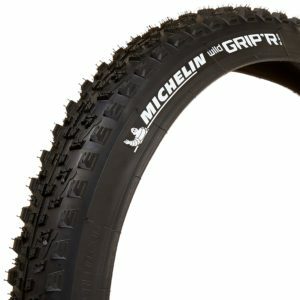 The Wild Grip’R is another tire with exceptional mud shedding. If you look at the blocks, you will notice that this tire has staged blocks that have diagonal sides. They make a lot of difference in the deflection of the knobs. One thing the Wild Grip’R is not so great at is rolling resistance. It is not a glaring flaw, but it is noticeable. It only slightly goes up. Moreover, you can feel a bit more vibration on this tire than many others in the same price range probably due to the open tread design. 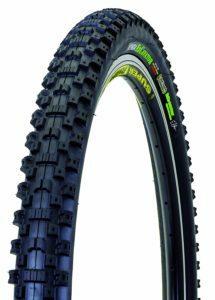 These are five of the best mountain bike tires on the market today. We are sure that there are plenty of other good ones out there, and these five may be outperformed one day by newer models. However, for now, these are the best your money can buy you.